David Degraw calls it a spiritual Insurrection or revolt ~ "When you take bold and courageous action, your consciousness expands, doors open, doors that fear-based consciousness cannot see. Bold and passionate action, free of fear, driven by love, is a portal into another dimension of consciousness ~ a new paradigm." Excerpt: "I get the same question over and over again. People always say, “I know how corrupt the political and economic system is, but what should I do to help create change? Should I focus on getting money out of politics or breaking up the banks? Should I use alternative currencies? Should I focus on environmental issues? Should I support solar energy? Should I grow organic food? Should I vote for third parties?....... I always give the same advice to everyone. First and foremost, forget about politics and external forces of any kind. Forget about 10-point political plans and ideologies. Those are all byproducts… First and foremost, focus within, align with your inner spirit and everything else will take care of itself. What is it that you are most passionate about? What do you love most? Go do that, and do it boldly, without fear…..We live in a time of fear-based mental slavery. The corrupt political and economic system is a byproduct of the fear-based ego. The shortsighted greed that is enslaving humanity and destroying the planet is a byproduct of the fear-based ego…." David is writing something that I have been demonstrating for the last 40 years ~ When you vibrate from love, the Universe opens up to you ~ that’s the secret ~ that’s the real revolution of consciousness that is now happening ~ a shift from ego consciousness to soul consciousness facilitated by surrendering to love and your part in a loving plan by quite simply saying YES to yourself and not being controlled by fear. This is not a worldwide Insurrection but instead a worldwide Resurrection because we all once knew this fearless place of soul consciousness as a young child before we made the decision to become something other than our self, to become controlled by fear and to settle for less than our authentic self as well as settle for ego consciousness versus soul consciousness. Let me make this clear - every tenet of my Unified Field is based on my own personal experience and my experience with my clients. Which is why it took eight years for me to fully prove it in 1987 and which is why I no longer call it a theory. 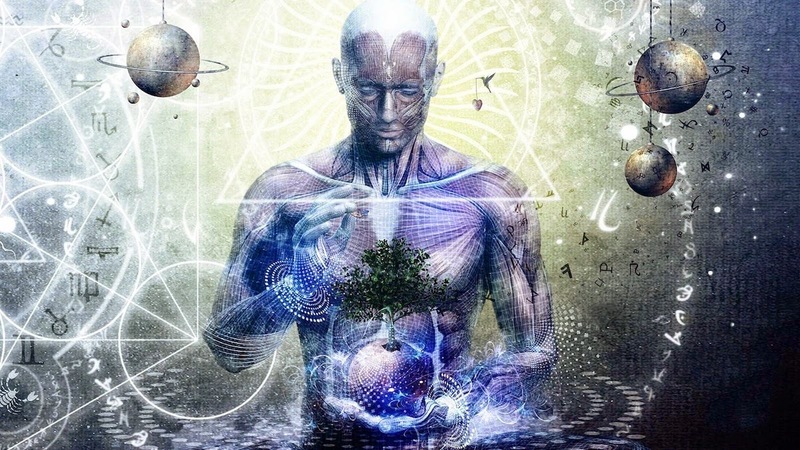 The consciousness of the observer is the determining factor in being able to perceive the Unified Field, and the depth of one's sensory experience is what determines this consciousness. In that regard, our most profound sensory experience is the total surrender to what is deepest within ourselves, that is, the surrender to love and a joyful state of soul consciousness - which is the awareness of an evolving loving plan and the taking of responsibility for one's function within that plan. The Unified Field is therefore a state of soul consciousness. That state which limits or denies our perception of the Unified Field is ego consciousness. It would appear that the pain of not feeling loved for oneself and being seemingly separated from our original state of soul consciousness and the Unified Field is of such deep psychic proportions that, early in childhood, processes are triggered in the hypothalamus which result in a left brain imbalance and dominance as well as the denial, mistrust and forgetting of our connection to the Unified Field and the love and joy and a state of soul consciousness deepest within us. It is from this dark tunnel of pain, aloneness, despair and apparent death that the ego and ego consciousness is born - for survival and protection purposes only. As such, death or the idea of death, is an illusion measured by the limits of our consciousness. Think of the ego as a protective cocoon that is eventually meant to be shed. The Unified Field can be visualized as a grid of great luminosity joining all living beings within its energy field of love. The words of Longfellow would seem appropriate in describing this all-encompassing field or grid: "The thread of all sustaining beauty that runs through all and doth all unite." The path to the soul is through doors of fear but the greatest fear is that being myself is not enough ~ when in reality being myself is a spiritual being with a mission to accomplish within a slowly evolving loving plan. My deepest joy is knowing I'm in sync with my destiny as well as my part in a universal loving plan.